Himalayan Salt lamps are quintessentially low-maintenance items. I mean, they’re just a big lump of salt with a light inside. I mean, honestly, there’s not a lot that can go wrong. The salt is mined from the Punjabi foothills of the Himalayas, and, unlike the refined table salt that many of us are used to calling salt, this stuff is a reddy-ambery-pink colour. Unlike refined table salt, which is just Sodium Chloride, and nothing else except maybe an anti-caking agent, Himalayan rock salt is chock full of a whole host of other minerals. These different mineral salts all naturally have a different crystalline structure and thus refract light of different wavelengths. The result: all the beautiful colours of your salt lamp. 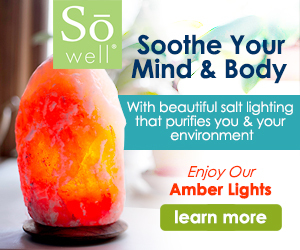 Himalayan Salt Lamps, like most salts, are hygroscopic, which means that they attract water out of the air. This is in fact the process that allows the Himalayan lamp to purify the air in your home. Impurities are generally contained in this water vapour, and when the water is attracted to the lamp, so are they. Since the light is supposed to be left on, the light should be warm enough to then evaporate that moisture, leaving behind the impurities, and releasing the now negatively ionised water vapour back into your environment. That’s how I gather it works, anyway. Now, when the water lands on the surface of the lamp, it will quickly cause some of the ionic crystalline structure of the salt to break down – ionic bonds are always soluble in water. However, when the water evaporates, the ionic bonds will reform again as the solution turns once again back into salt. As a result of this process, you may find that the outside of your salt lamp gradually accumulates more and more completely white crystals. The overall composition of the lamp has not changed, but the surface arrangement has, on a molecular level. In short, it is nothing to worry about. These changes are only happening on the very surface of the lamp. If you don’t like them, remember, they are water soluble. Wiping with a damp cloth should be sufficient to remove this top layer without damaging or significantly diminishing your lamp. Remember though, that the lamp, being salt, is water-soluble, so be very careful to make sure your cloth is only slightly damp. Certainly do not give your lamp a rinse under the tap! The great thing about himalayan salt lamps is that they are nice big chunks of salt and your lamp is in no danger whatsoever from this process of attracting and evaporating water. This is what they do. If you don’t like seeing more of these white crystals, carefully remove them as shown above. The bulk of your light will be unaffected and will continue to give you that warm red-amber glow whether you clean the outside of them or not. In my experience, salt lamps do benefit from being gently cleaned on a fairly regular basis. This removes dust, and when done with a slightly damp cloth it will also remove the outer molecular layer of the lamp (how often can you say that?). I have one that doesn’t do that at all !! One that does a lot of salt !!! The one that doesn’t produce sold at all is that a fake ?? All we can suggest is to get in touch with your salt lamp manufacturer and find a solution. Also make sure you are buying from a reputable seller. My salt lamp i purchased from amazon, has shed most of the lamp. Its now only the front of the lamp as the back just cracked open. Are these not meant to last always? Or are we forever having to buy a new one once the salt falls off? 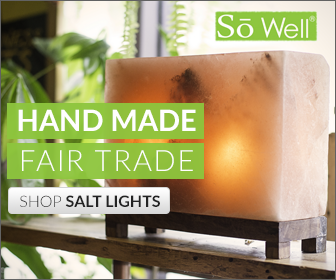 We can’t guarantee that your salt lamp is to last forever, this is something you will need to take up with the manufacturer of your product. Best to seek proper medical advice on this subject. I found an all white salt lamp and its really beautiful. Do white ones have the same advantages as pink? I bought my friend a salt lamp which she put in her garden hut that she uses to relax in. It was plugged in only when she used the hut. She told me that she went in one day and the lamp had sort of melted. She said there was an orange mess down the wall and on the table. She had to throw the lamp away. What went wrong? I’ve bought several lamps from the same shop and had no problems at all. Any suggestions? I bought two salt lamps but they are both almost white in colour. Not as nice lookin as the orange will it do the same job?